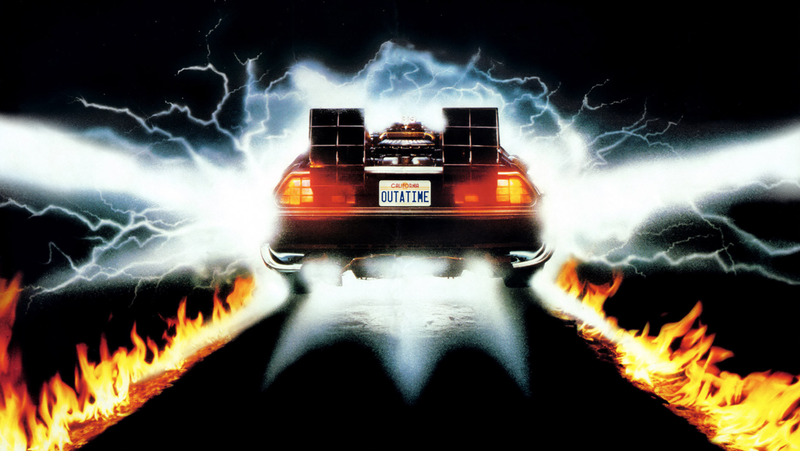 Back to the Future, Mainframe I/O and the Need for Speed! As humans, we seem to have an obsession with speed….in fact the idea of making some task faster was likely a motivating force behind the invention of the wheel. In so many things in life, and especially in technology, faster is viewed as better. And in many ways, it is! But beyond speed, I think most people would agree that other attributes such as accuracy, trustworthiness, and the level to which protection from harm is provided are also important characteristics to consider…especially when we’re trusting our most valuable assets to that technology. I know I personally felt safer when my son spent his teenage driving years in an old, but solid, Mercedes wagon (actually in this case ‘speed’ was not an attribute I placed a high value on). Similarly, most enterprises want to trust their business-critical data to an infrastructure and architecture that is indeed fast (here speed does matter and is valued), but one that is at the same time secure and reliable. I’m a newbie to active engagement in the social media world, and as I pondered how to get started in discussing some of the innovative work that I and my I/O colleagues at IBM have been involved with that might be of interest to other mainframe aficionados and users, I thought that taking a trip back in time was the best first step. Rather than just jumping in to discussing a singular mainframe I/O technology or recent achievement, starting with a historical perspective of where we’ve been and how far we’ve come might help lay a foundation for moving forward into current topics. Taking this trip back enables me to share my personal appreciation of the evolution that has occurred in mainframe I/O and an understanding of how it has maintained its relevance by continuously building upon an architecture that was designed to provide value in the areas of security/integrity, resiliency, and performance. So bear with me as the story evolves. It will be fairly ‘techie’ in content, but I also hope you get a sense of what the technology did/does for you, and how it has evolved to continue to be better than what was there before, and the leading storage attachment choice for enterprise mission critical data and workloads. As I said earlier, I’d also like to use this blog going forward as a forum to continue conversation around some of the newer I/O feature/functions built into the latest z System servers. Marty: Hey, Doc, we better back up. We don’t have enough road to get up to 88. Doc: Roads? Where we’re going, we don’t need roads. Stay tuned for Post #1! Editors Note: This post was authored by Patty Driever who is new to blogging and social media, although based on this first effort you would never guess (follow her on Twitter here). Patty is New Orleans Saints fan an avid chef, a fantastic lady to discuss politics with and also happens to be IBM’s resident expert on all things mainframe I/O. She will be posting every week for the next few weeks so check back every Friday for another blog post on mainframe I/O with a twist! Patty! This is excellent! Looking forward to your upcoming posts. As someone who joined the mainframe ranks just before #7 and having seen such significant growth in mainframe I/O even since then, its great to have the historical perspective to understand the importance of where we going. Would be nice if you linked this article to the seven channel architecture posts. I sure can’t find the first one and I’d like to read them in order. How about linkine each to previous and next, since they’re a series, to facilitate reading? When we complete the series we will update the first post with links to all the subsequent posts.. Thanks and keep reading!